100% Silk Twill in Black. Light weight with drape, around 10 mm, a nice quality. Perfect for a blouse, skirt, dress or top and also people love this as lining, 45″ wide. 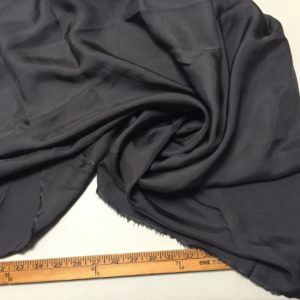 Use a twill as you would a crepe de chine (or any crepe), charmeuse, or a light weight cotton.